Heavenly sweet peas, fragrant roses and romantic textured foliage...love. Our 2018 Wedding Season is officially underway! It's Wedding Planning weekend at The Omni Homestead Resort. So much fun and excitement as we network and collaborate with couples, vendors and the amazing team here on staff. Creating sample bouquets are one of the many services we enjoy when guiding our brides through the design process. Have we told you lately just how much we love weddings? Of course our passion for flowers goes without saying, but there is so much more to adore. Meeting couples who are ready to commit to a lifetime of love, laughter and happiness. Chatting about the vision they want to create for their special day, as we are invited into their journey of excitement, anticipation and celebration. Then having the opportunity to see that vision become a reality! Designing the color palette, to compliment the bridal party attire, sass things up with a zing of exuberant seasonal hues or to add an air of sophisticated elegance by selecting monochromatic blossoms and foliage is just the beginning. We love flowers of all shapes, sizes, colors and varieties. We have an intimate knowledge of which blooms will best make the perfect bouquet, centerpiece or altar decor. 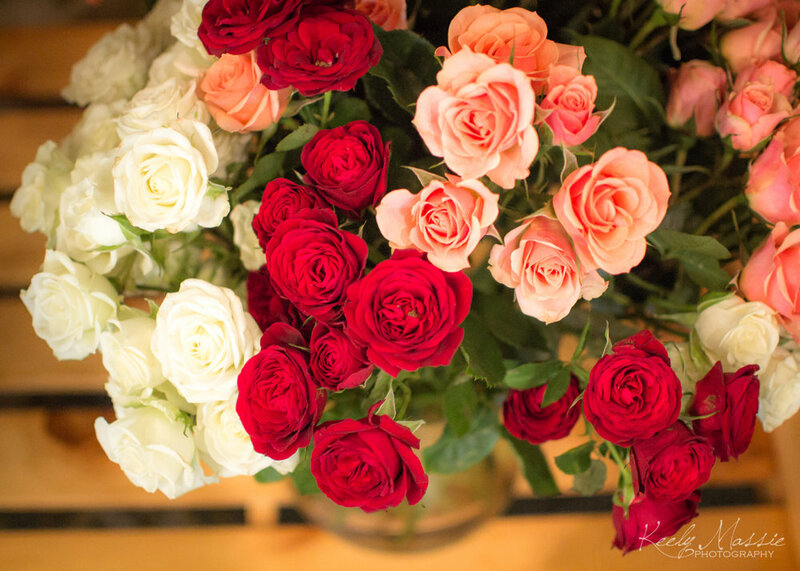 We are adept at procuring flowers that are in season from local growers and dealers to growers around the world. We can recommend the blossom that will show their best, giving your wedding that wow factor with their natural stunning beauty and grace. There are a numerous options to customize your wedding decor. From chargers, flatware, place settings to candles and table top accents, we can bring those ideas to life. From initial theme conception to design of your ceremony, cocktail hour and reception, well develop visuals for your viewing and book the vendors needed to make your design dream happen. Our services include design consulting, mood board assembly, floor plan design, sourcing and securing of addition decor related vendors, such as, lighting, linens, chairs, tableware, props and more. We are ready for a season of love. beauty and amazing celebrations. No matter how intimate or grand, we look forward becoming not only your florist, but your wedding designer. Allow us to do the leg work, freeing you to live presently, enjoying every romantic nuance of your engagement.